A view like this is worthy of an investment in outdoor living. 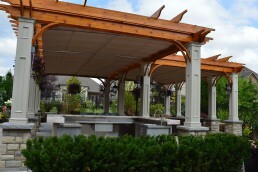 This property in West Islip NY enjoys the sounds of lapping water, flapping flags, and now fluttering fabric under two motorized retractable ShadeFX canopies. The homeowner wanted a light fixture and it was accommodated by splitting the area into two side by side retractable awnings. 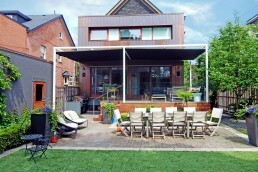 Rain protection was not one of the requirements, so the canopies are installed without a tilt. 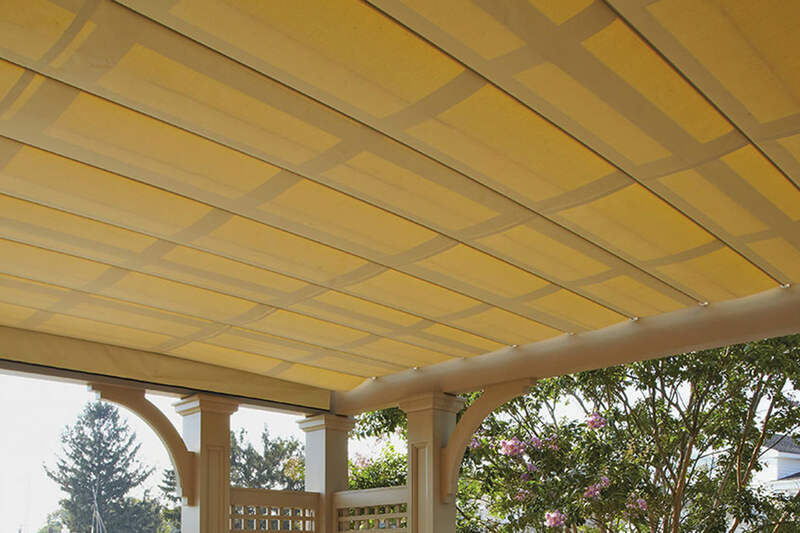 If rain protection was a requirement, the canopies could be tilted to shed water away from the gap that is between them, managing both the light fixture and rain runoff. 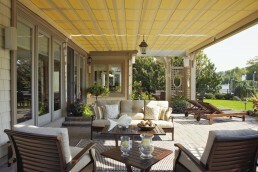 The project is notable for the oversize beams and posts made by Walpole Outdoors of Walpole MA. The material used is commonly called Azek, but it is technically called aerated PVC with a special painted finish, which is famous for its no maintenance 25-year service life. The painted finish is nice if you want to color match the pergola to your home while not worrying about maintaining it. Paint on wood is not recommended for that reason. ShadeFX and its 12-year warranty put the finishing touch on this project that will provide carefree enjoyment for many years.